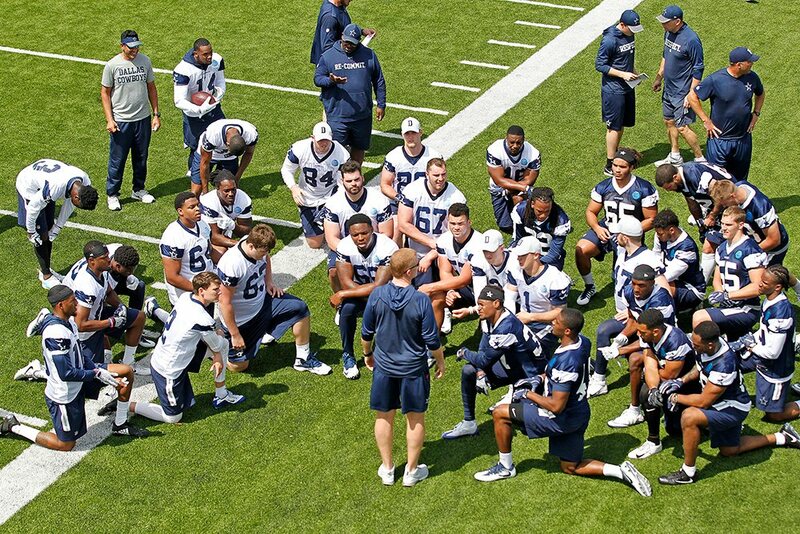 The first practice of the Dallas Cowboys' 2018 training camp is today. Therefore, it seems a great time for a new 53-man roster projection. My last projection was after the draft, and there have been some developments with the roster since then. One defensive lineman got reinstated by the NFL, while another got suspended for the first four weeks. We also have reports from camps in May and June that have given us more clarity about the talent currently in Oxnard, CA. So, without further ado, let's start the projecting. Along with the current picks and analysis, changes from the previous edition will also be listed. The days when Dallas only kept one backup QB appear to be over. Given Rush's performance last year, they didn't need to spend a fifth-round pick on White. But they did, and this signifies a move to more of a "pipeline" handling of QB talent. Of course, this depends on both Rush and White performing well enough to deserve roster spots. 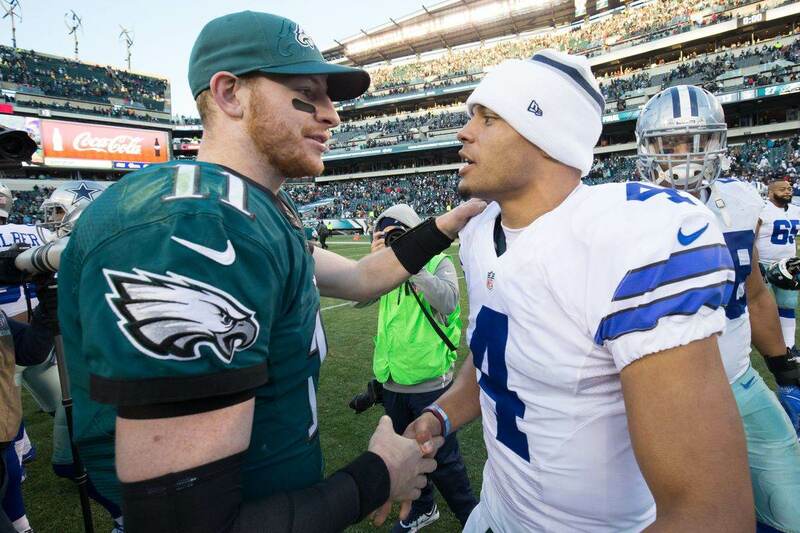 The Cowboys could certainly end up cutting one of them if they don't merit keeping. But given what we've already seen out of Cooper, and the draft pick invested in the rookie, it's hard to see either playing their way off the roster. Five sounds like a lot, but remember that we're lumping the fullback into the group. We're also listing Austin as a RB, as the Cowboys official website does, even though he is likely to be a hybrid player both rushing and receiving. Scarbrough is an interesting case. We're all excited about him getting a head of steam running behind the Cowboys' offensive line. But how much will he actually get to play with the first-team line? Will he get to look impressive behind Joe Looney and Chaz Green? 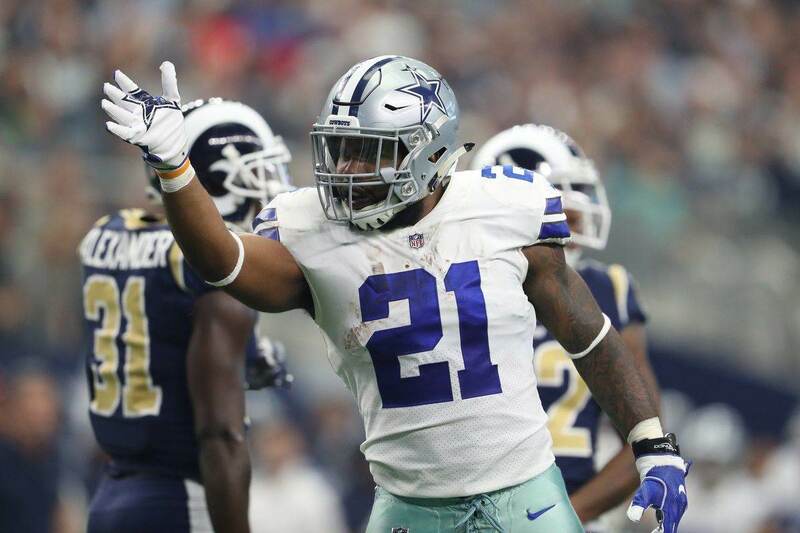 Helping the rookie is that Rod Smith has an expiring contract, so I think Dallas will find ways to give Bo looks to determine his long-term value. A battering ram is nice as a backup, particularly for later in games after the defense is already worn down. I'm still not convinced that Williams makes the team this year. His public intoxication arrest earlier this year, and the general disappointment with his play last season, don't give him job security. His contract is probably the only reason he's still around, as Dallas eats a lot of dead money by releasing him. But at this point, the Cowboys can afford to eat that cap space if they want to. And depending on what rookie Michael Gallup and other young prospects like Noah Brown, Lance Lenoir, and Cedrick Wilson bring to the table, Dallas might want Terrance's roster spot more than the player. Veteran Deonte Thompson is another one who I'm not entirely sure about. He only signed a one-year, $1.8 million deal and can be cut easily. At 29-years-old, Thompson has little cushion for performance issues. Given Tavon Austin's ability to play receiver, Dallas could easily go with just five guys here to free up a roster spot somewhere else. But how much uncertainty there is in the passing game right now, I think they go long to keep their options open. Only three TEs seems light for the Cowboys, but there are a few reasons for it. One is that they are going long at RB and WR, so the spot has to come from somewhere. Also, FB Jamize Olawale has the size to play some TE and has done so in the past with Oakland. Another reason is that Dallas is apparently moving to more of a spread offense, thinking it will bring out the best in Dak Prescott. That further alleviates the need for tight ends on the roster. I'm putting Gathers here on faith right now, hoping that he's going to take the next step this year to capitalize on his athletic potential. Swaim and Schultz are locked into their spots, so it really comes down to Rico and Blake if they only keep one more guy. Dallas clearly likes Jarwin, having signed him to the roster last year to avoid the Eagles poaching him off the practice squad. But if Rico starts really putting things together this year, his upside is greater. No surprises in the top three. Your starters are clear and Fleming was brought in to be the trusted swing tackle, having started 20 regular season games with the Patriots plus playoff action. As much as it pains me, I put Chaz Green on the roster based on a few inescapable truths. He has position flex as a tackle and guard, which gives him value. He also was a former third-round pick, which will make it harder for the team to give up on him. The way I see it, Joe Looney and Marcus Martin are competing for the backup center position. They both can play guard as well. Having Green as a G/T option is the better value, assuming he has a decent camp and preseason. The starters appear set, with two spots obvious and the rookie Williams getting every opportunity to win the job at left guard. How Connor does in that quest could have a ripple effect on the entire offensive line. If Williams struggles, Dallas may look at Looney or Martin to move into the starting lineup. There's always the La'el Collins option too, but the Cowboys appear committed to keeping him at tackle this year. Given his time in the system, Looney may be more attractive as a starter. But if Williams starts, I see Dallas going with Martin for the backup role given that he's three years younger and could have a little more upside. If Chaz Green is a total bust and gets cut, Dallas should keep both Looney and Martin as reserves. That's 25 roster spots on offense. 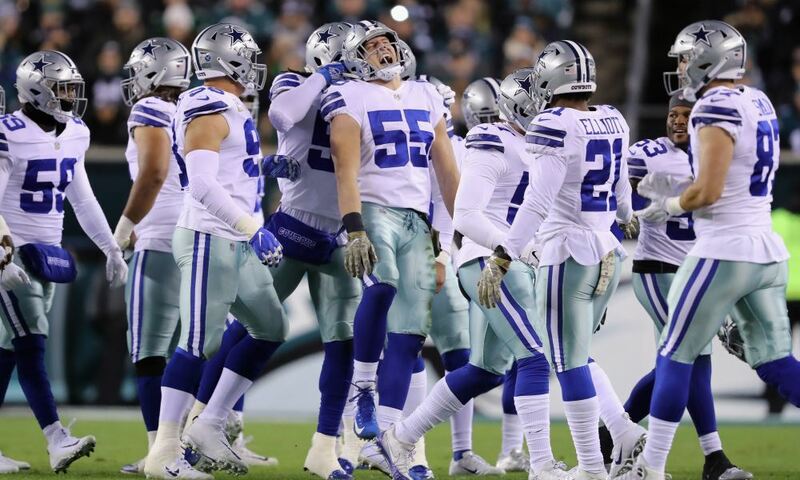 And with three definitely going to Kicker Dan Bailey, Punter Chris Jones, and Long Snapper L.P. Ladouceur as the specialists, that leaves 25 more for defense. Mind you, it's not always an even split between offensive and defensive roster numbers. We've often seen one or two more guys on defense given the rotations and need for greater depth. But this year, with the offense undergoing some overhaul, this is how I see it shaking out. Let's head over to the other side of the ball. Back in May, I had Gregory on the list with the hope that he'd be reinstated. I'm so glad that I can keep him here now his return is official. For the first time in a while, this isn't a very hard group to predict. Lawrence and Charlton are easy, and veteran free agent Kony Ealy would have to be really bad to lose his job so quickly. I expect Ealy will be far from bad as he returns to the 4-3 scheme and gets to beat up in backup blockers this preseason. Rounding out the group will be two pass-rushing specialists in Gregory and the rookie Armstrong. We don't know how quickly Randy will get his football legs back under him, but the Cowboys appear very excited for his return. And Dorance needs time to work on his NFL body, but the team spent a fourth-round pick on him. Those guys don't get cut often. The loser here is Charles Tapper, who is likely to be the odd man out unless he has a stellar camp and preseason. It's been two seasons of health-related disappointment for the former fourth-rounder, but he'll get his opportunity to prove he still has value. Changes: Added Ash, Price, and Jones. So yeah, in May I put McClain on the roster because I was so confident he'd sign with the Cowboys as a free agent. But he went to the Falcons instead. So yeah. Irving isn't on here because he's suspended for Week 1-4. We'll have to see what happens when he gets out of rehab and if his absence doesn't get prolonged. I also didn't include Collins, who is starting camp on the PUP list, because I have a feeling Dallas may go ahead and let him recover through the start of the regular season. That means big opportunity at defensive tackle. Jihad Ward, the former second-round pick who Dallas traded WR Ryan Switzer to Oakland for, should get the most work from these absences. The Cowboys clearly believe they can get something out of him that the Raiders couldn't. Brian Price was working as the 1-tech tackle prior to his injury last year, and Richard Ash did well later in the season. I think both make the squad for as long as Maliek Collins is out. Lastly there's Datone Jones, who impressed as a late-season signing last year. Jones has versatility to play end or tackle, making him an ideal guy to round out the line. Until we see more from this group, these are the names I'm most confident about. The first four are certain, while Thomas and JML have experience. That said, there are several young prospects who could push their way in. Rookie Chris Covington was a sixth-round pick, which isn't a guarantee but will at least get him some extra attention from coaches. There's also Tre'von Johnson, who was with the Cowboys practice squad most of last year and brought back this season. Linebacker is a position where there's almost always a surprise. Special teams comes into play and gives some unexpected darkhorse a lot more value then you realized going in. That is where Covington, Johnson, or some other guy has to make an impact to make the team. Your top four are set and Duke Thomas feels like a virtual lock. He was going to make the team last year if he hadn't been injured during preseason. The last spot goes to Kelly over Marquez White given his college experience at safety. I have Dallas only keeping three safeties right now thanks to Byron Jones' position flex, but Kelly helps that as well. A few weeks ago, White was charged with felony assault and we'll have to see how that process plays out. He does have potential, especially with Defensive Backs Coach Kris Richard's preference for physical corners. But Marquez's availability remains in question. Another guy to keep an eye on is undrafted rookie Charvarious Ward, who came from a small school but is 6'1" with upside. He was considered one of the best rookie talents, league-wide, to go undrafted this year. While we're still keep one eye on Seattle for a potential newcomer at safety, the three Dallas already has are pretty interesting. Heath is now one of the veteran leaders of the defense, with 27 seeming almost geriatric now on this very young Cowboys roster. If he can become more consistent while maintaining his knack for getting interceptions, Jeff could be in line for a breakout season. Xavier Woods is one of the most exciting young players on the defense, flashing hard hits and a nose for the ball last season. He is likely to be the other starter, having the best potential to play free safety. Kavon Frazier shouldn't be ignored, though. After sitting out a lot of his rookie year, Frazier showed up last season isn't far behind Woods in terms of intrigue. Even if the young guys can't force Heath out of the starting lineup, we should see all three a lot this season. One other name to watch out for is Marqueston Huff, a fifth-year veteran and former fourth-round pick of the Titans. He has experience and could become more valuable if there's an injury to one of the top three. So there you have it. As of now, before all of the camp reports and knee-jerk reactions and injuries that change everything, there's your 53-man roster projection for the start of training camp. I'll be back with a new projection following the Cowboys' first preseason game.